All Current Electric, Inc. strives to be one of the best electricians in the Rogue Valley by providing dependable, timely, professional and green work - 24/7. And - we are not only electrical contractors; we also provide heating & air! For superior workmanship & expertise, homeowners all around the Medford and Grants Pass, Oregon areas choose All Current Electric, Inc. Our knowledge, along with unmatched customer service, really makes us shine - and we pride ourselves on that. 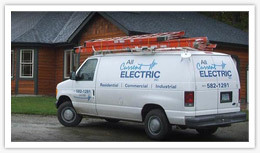 If you need a good electrician for a new home or for a remodel that you're planning, give us a call. We're always happy to chat and we offer free quotes before starting any new project. 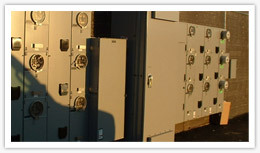 Business owners from all over southern Oregon have chosen us for their electrical needs. With our quick responses, combined with professional attitude and services, it's easy to why we're considered one of the rogue valley's elite electrical companies. We have years of experience and knowledge that we bring to every project we work on. It doesn't matter if it's a large overhaul or a small new project, we approach every job with professionalism. For business owners and homeowners alike, it's always a good idea to be prepared. We've installed many different generators throughout the valley and would be happy to provide you with our recommendations and professional services. If you need advice on buying the right kind of generator or if you need us to come install one that you already purchased, feel free to give us a call. 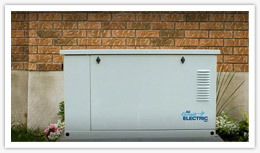 We also service home generators as well. Summer in the Rogue Valley gets hot and the winters get cold. If your air conditioning system quit working or if you need a heating unit serviced quickly, we're here to help you out. 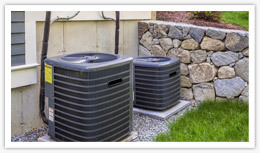 We are experienced HVAC contractors with a focus on service. Not sure what HVAC system or alternative is best for you? Just give us a call and we'd love to come out and give you a free quote along with our professional advice and guidance.